There is an ample amount of parking in front of the restaurant. There is a bus stop and a Beach Trolley Stop in front of the restaurant. 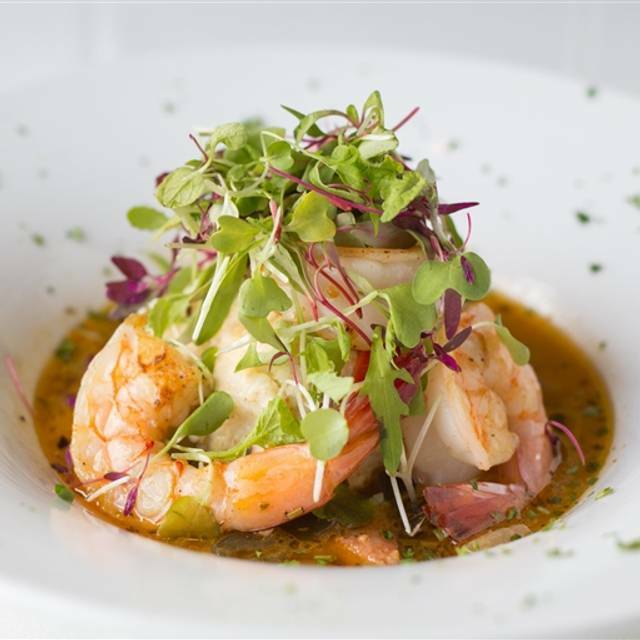 North Beach Bistro offers a private dining room / art gallery for onsite catering. The room comfortably holds 80 people for sit down dinners and 100 for reception style events. We also are available for offsite catering functions. 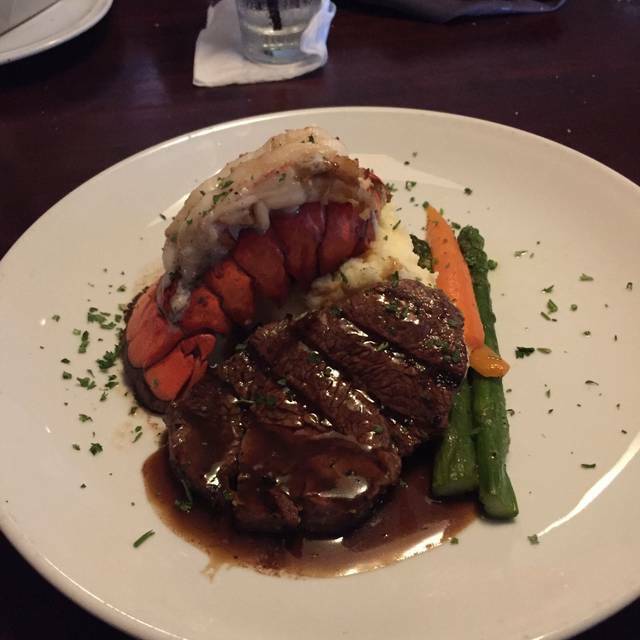 Treat mom right at North Beach Bistro! Enjoy our very special Mother's Day brunch buffet featuring everything you could possibly want to make mom happy! $36.95 per person, children under 12 $14.95 and kids under 3 eat free! Join us for a very special Easter brunch buffet featuring classic favorites like hand carved prime rib as well as North Beach Bistro specials like lobster mac 'n cheese or mixed berry key lime pie! Adults $36.95, children under 12 years old $14.95 and under 3 eat free! I had Osso bucco ; wife had short ribs. Meats were cooked well, but same exact goopy dark tasteless sauce out of the jar on each dish. Disappointing; make a sauce guys! Great brunch on Sunday. Troy was a wonderful waiter and the food was REALLY good!! Can't wait to try North Beach Bistro for dinner soon!! Had a great meal. Katelyn was a delightful server. Whole red snapper was delicious and presented well. Our favorite go to restaurant in the neighborhood. Always dependable Good food and Service. Always consistent. A great place to go with friends when you want to be able to actually have a conversation. Food is always excellent, wait staff excellent, location excellent, but the noise level is almost a deal breaker. It is difficult to carry on a normal conversation over dinner! I said almost😬! We will be back! It was good, we had to make a reservation and thought that would be fun because there should be a lot of people there it was half empty we went in at 7:30. The food was fine but there was a special menu so not many choices. We had looked at the online menu and had totally different things we were planning to order so we were a bit disappointed about that. Overall it was fine. Food was over priced for Valentine’s Day. The lobster bisque didn’t have lobster and tasted like cream. Too much sauce on the entree to cover up the poor quality. One of our favorite restaurants at the Beach! It's consistently excellent! My son and I had dinner in the restaurant. The food was delicious and our server Kaitlyn took excellent care of us! 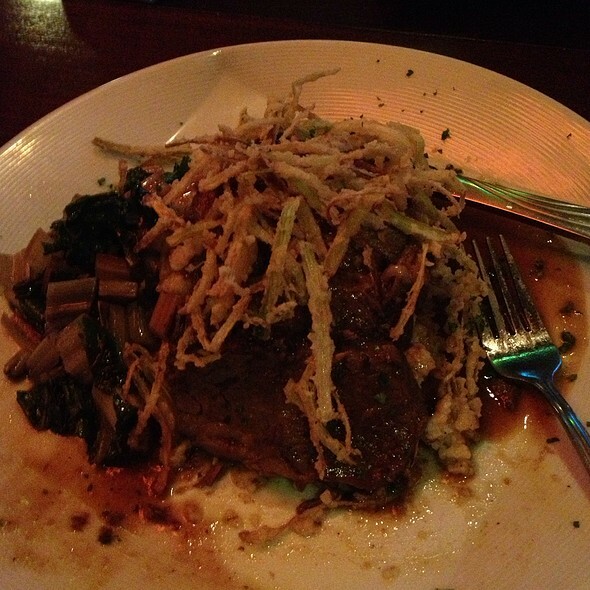 Delicious dinner (Filet Mignon Oscar). Great service! My husband and I usually enjoy North Beach Bistro very much. Although my husband's shrimp tacos were delicious, my “lump” crab cakes where mostly filling and claw meat. Very disappointing. The wedge salad was nice but too salty. We will be back and hope the next meal will be as good as they usually are. We had the delicious and expertly prepared Crispy Calamari, Lobster Paella, Seared Scallops, Georgia Peach Bread Pudding, and a light, bright Italian Pinot Grigio. The after dinner coffee was excellent. This was our first time to eat here and we were very pleased, making my birthday dinner special and memorable. The attached Gallery 725 featuring original artwork for sale by Peter Max, Pablo Picasso, Alexandre Renoir, and local artists made our visit even more lovely. We will be back and bring friends! This is one of our favorite restaurants - they never disappoint! A very enjoyable evening in a relaxing atmosphere. Our waitress was professional & shared good tips on the menu. My daughter & I shared the Bangin Shrimp which were crisp & juicy with a delicious spicy sauce. The calamari were perfectly fried as well. The tortellini special disappeared quickly. 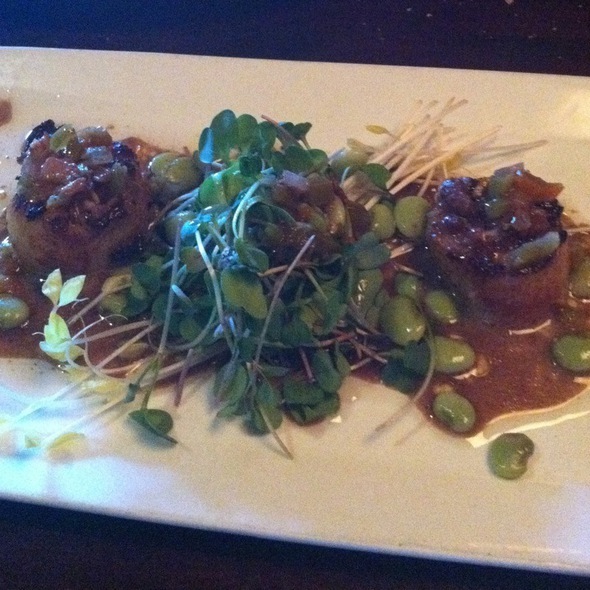 The entrees kept the trend going with seared scallops over a creamy risotto and a special of pork shank Osso Bucco. While we have enjoyed the bar & music before this was our first experience in the resturant. Unlike other resturants at the beach you are not crowded next to your neighbors. You can dine in comfort and converse with out shouting. The dining room is tasteful decorated and the seating comfortable. We will definitely be back. Got a last minute reservation here. 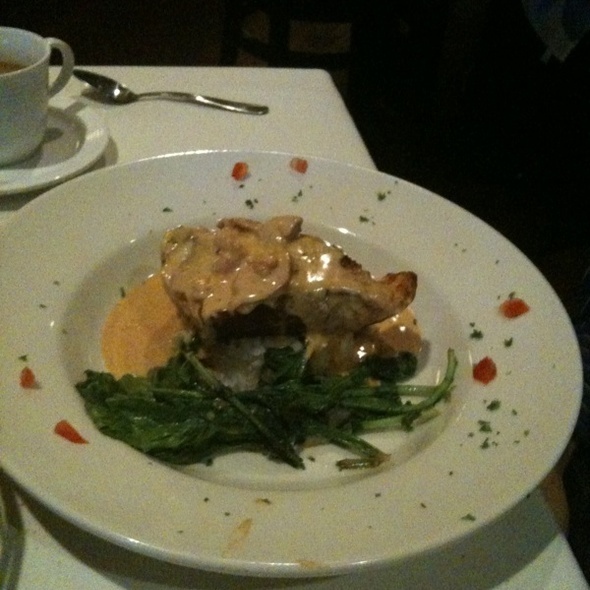 I had the grouper and it was outstanding. Great cocktails too. We love North Beach Bistro. It is upscale yet casual. The prices are very affordable, and the food is outstanding. The service is excellent and we will return. Great food and great service, EVERY single time! I bring guests and business groups here often. Always a favorite! The food and service never disappoint. North Beach Bistro has the absolute best lobster rolls and homemade pickles around. Love their spicy ketchup with fries as well. We drive 75+ minutes one way to dine here - it’s that good. My husband and I enjoyed dinner at North Beach Bistro on Christmas Eve. Our first time, it was a great atmosphere. I was also impressed with the food options. We are new to Jax, there are a lot of great restaurants. However, we see a lot of repetitive items on local restaurant menus. North Beach had some good “fresh and new” choices. We will be back for sure! Didn’t realize there was a party in the main dining room when we made our reservation which made for a rather noisy atmosphere. Our meal was delicious! Service and dinner were great. I would highly recommend NBB! The Lobster Paella was amazing. Loved this cozy restaurant. Food and service was outstanding. Not really sure what I fancied to eat, so I ordered the cheeseburger with peppered bacon. Excellent choice! Most burgers go cold in the middle by the time I get there. Not so at North Beach. Stayed thoroughly hot, although I had to leave a little. Food was amazing! The server was so nice and made a suggestion with one of the specials to switch out a side because she thought it would be a better pairing and it was so delicious. I can’t wait to go back! This place is a hidden gem! The chef did an amazing job and everything was so delicious!! Our waitress was great and so helpful!! This was our first time having dinner here and we are looking forward to the next time! Love this place. BEST Pittsburgh style burger I have ever had and especially LOVE the Kataifi onion ring. Chef Dave is the greatest!!!!!!! Chris is the most efficient, attentive, delightful server in the world. He treats us like family. Grace was our waitress she was super nice and very attentive! Had the shrimp app it was wonderful and the Scallops for an entree over risotto was fantastic they were cooked perfectly!! Will definitely go again so I can try other entrees and starters! 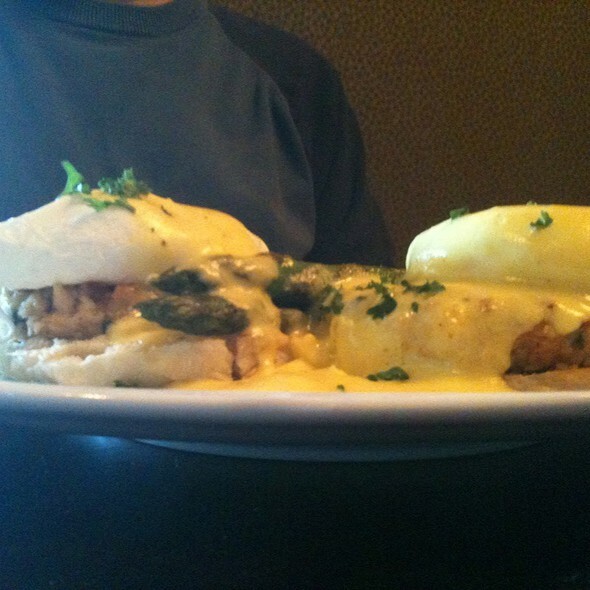 Family was in from out of town and we had been wanting to try someplace new so we picked North Beach Bistro. I thought everything was great and then noted that my very particular Aunt hadn’t one thing negative to say during the entire meal(never experienced that before). Great job on the entire dining experience. We’ll come back for sure. Thanks! Good food as always. Nice that menu is so varied which offers plenty of selections for everyone in your group. We are always pleased with our food and service! A local “go to” for us ! Tell them to get them back on the menu !! 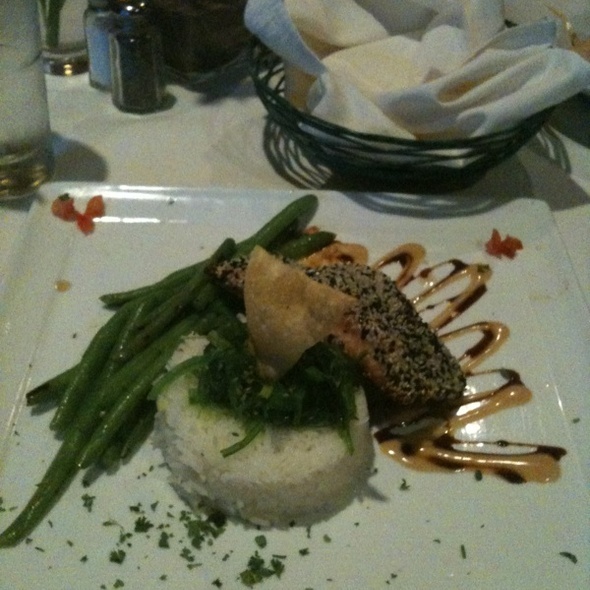 Once again, another delicious meal at North Beach Bistro! One had surf and turf, one only surf and the other prime rib sliders. Everything was excellent. Excellent as always. 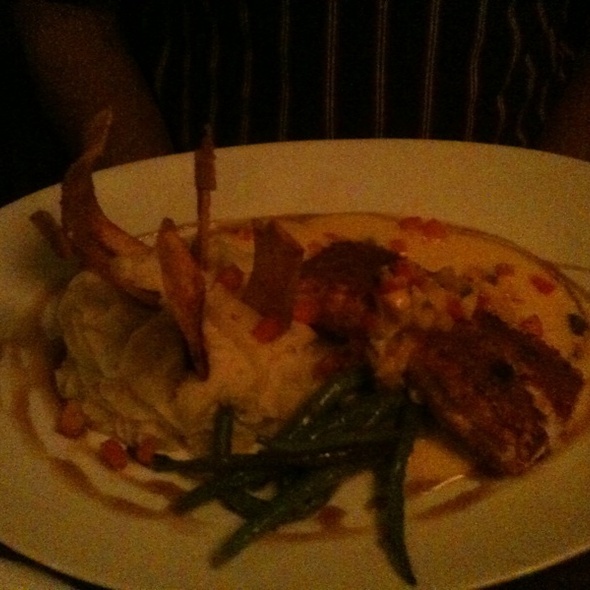 We have been there several times now and the service is always excellent and the food very tasty. I have a friend who is notorious for not finishing her meals, and she finished it all at North Beach!